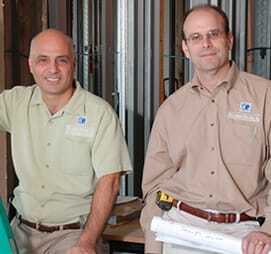 FOCUS: Builders specializing in luxury high-rise renovation construction. ABOUT: Established in 1991 as SBGoodman Builders, Goodman Even, Inc. is a leader and innovator in the highly competitive luxury high-rise renovation construction industry. Partners Steven Goodman and Moshe Even collaborate closely with homeowners, architects, and designers to provide a full range of remodeling services for some of Houston’s finest high-rise homes. The two attribute their success to a unique understanding of rules, restrictions, access, and privacy as related to the properties at which they work. Attention to detail is key to a successful luxury project. It is also a focus shared by Schenck & Company. In fact, that hyper focus is one of the attributes that has solidified a thriving collaborative partnership between the two companies. Above: A recent Goodman Even project in a Galleria-area high-rise. 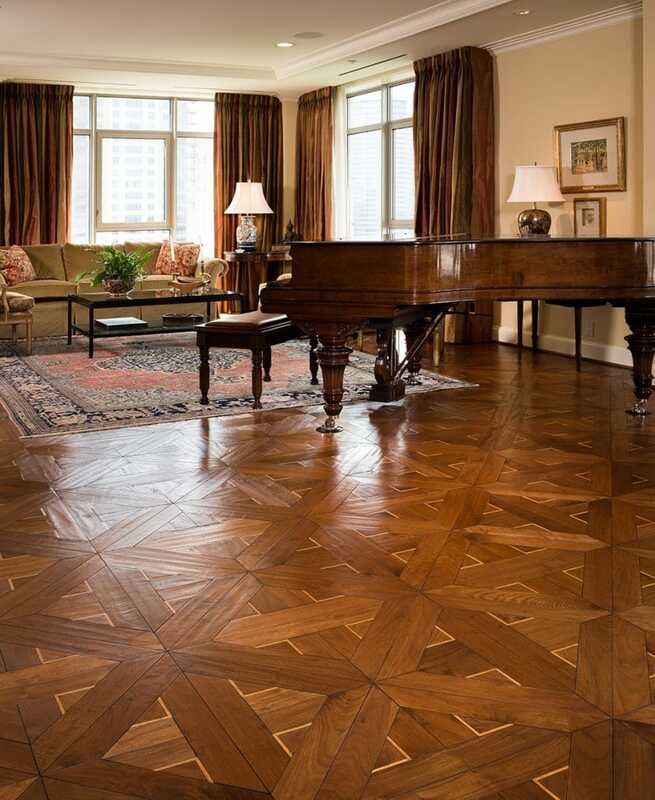 featuring a hand-scraped walnut floor with maple accents. Click for more details about this floor.